Bardstown, KY (January 16, 2018) – The Bardstown Bourbon Company (BBCo) announced today that Castle Brands Inc. (NYSE American: ROX), the maker of Jefferson’s Bourbon, has joined BBCo’s Collaborative Distilling Program. 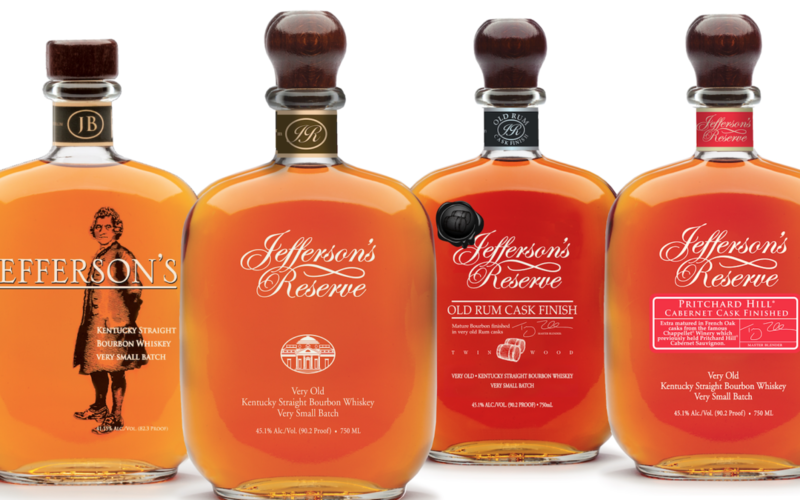 Castle Brands will work together with BBCo to produce custom bourbon and whiskey for the Jefferson’s Bourbon portfolio. BBCo and Jefferson’s will begin their first distillation this year. Through BBCo’s distilling program, Castle Brands will work with Bourbon Hall of Fame Master Distiller Steve Nally and BBCo’s first-class distilling team, led by Executive Director of Distilling Operations, John Hargrove, to produce its high-quality, small-batch bourbons and whiskeys for many years to come. “We know that Bardstown’s experienced distilling team will provide the continuity needed to produce the consistent taste profile that our discerning Jefferson’s consumers have come to expect,” said John Glover, Executive Vice President and Chief Operating Officer of Castle Brands. Due to the success of its sold out Collaborative Distilling Program, BBCo recently broke ground on a distillery expansion project. The distillery’s current 3 million proof gallon capacity will be expanded to 6 million proof gallons by June 2018. Castle Brands is a developer and international marketer of premium and super-premium brands including: Jefferson’s®, Jefferson’s Presidential Select™, Jefferson’s Reserve®, Jefferson’s Ocean Aged at Sea Bourbon, Jefferson’s Wine Finish Collection and Jefferson’s Wood Experiments, Goslings® Rums, Goslings® Stormy Ginger Beer, Knappogue Castle Whiskey®, Clontarf® Irish Whiskey, Pallini® Limoncello, Boru® Vodka, Brady’s® Irish Cream, The Arran Malt® Single Malt Scotch Whisky, The Robert Burns Scotch Whisky and Machrie Moor Scotch Whisky. Additional information concerning the Company is available on the Company’s website, www.castlebrandsinc.com. To learn more about the Jefferson’s line of spirits, please visit www.jeffersonsbourbon.com, or follow the brand on Instagram (@jeffsbourbon), Facebook (Jefferson’s Bourbon) and Twitter (@JeffsBourbon). Set on 100 acres of active farmland in the “Bourbon Capital of the World,” the Bardstown Bourbon Company is a celebration of the art of making whiskey. No secrets, mythical stories, or fabricated legends, the Bardstown Bourbon Company celebrates the craft of making great whiskey and the Bardstown community that brings bourbon to the world. BBCo plans to open its visitors and events center to the public in the Spring of 2018. The center will contain a full-scale restaurant, bar, a transparent educational experience and high-end tours and tastings, and one of the largest collections of whiskey in the state of Kentucky. The state-of-the-art whiskey distillery will also include event space, and eventually, a restaurant and boutique hotel.